A new podcast series devoted to raising global pulmonary hypertension awareness with dynamic stories from PH patients, caregivers and medical professionals from around the world. New Episodes every Monday & Thursday! Use the search bar above to search episodes by topic. 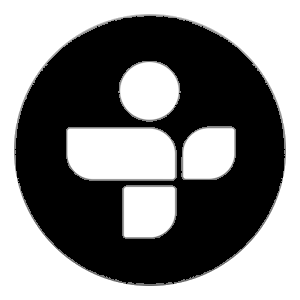 Search "phawareMD" to discover podcasts with medical professionals. Get our custom smartphone app (for iPhone™, Android™, and Amazon™ devices). It's the most convenient way to access the phaware™ podcast. The views and opinions expressed in the phaware® podcast do not necessarily reflect the official policy or position of phaware global association. Information on phaware.global and phaware social media sites is provided for general information only. It is not intended as legal, medical or other professional advice, and should not be relied upon as a substitute for consultations with qualified professionals who are familiar with your individual needs. To learn more about PH visit www.phaware.global. phaware® is a 501(c)3 organization. © Copyright 2015. All Rights Reserved. Generously Supported in part by Actelion Pharmaceuticals US, Inc., Bayer & CVS Health. Kevin Lee Burger shares his story about being diagnosed with pulmonary hypertension, the importance of PH awareness and the reasons that led him to create an online support system to meet the needs of men diagnosed with this rare disease - The PH Men's PHight Club on facebook. This interview was recorded in June, 2016. Kevin passed away on December 15, 2016. I'm Kevin Burger, from Lockport, New York, Niagara County. I was diagnosed 2008, with IPAH, after several years of fighting it, not knowing what was going on. Although it's been undetermined, I was ... became ill through the military, actually, exposed to chemicals. Since then, I've been working towards getting better. My diagnosis came about after several attempts, several hospitals in the Buffalo, New York, area, unable to find my reason for not being able to breathe, and the chest pains. They told my father and mother that they were sending me home. My father, actually, got quite upset, and said, "No, you're going to find what's causing this." The doctor told me, we have one test that you've never been given, and, that's the right heart cath test. He explained to me what was going on with it and how it would work, but, he ended our conversation that day with, "I highly doubt you have what this test is going to show. You're too young, you're in too good a shape, and, I just don't feel in my gut," he said, "I don't feel like you have this condition." I never thought to ask the condition, I was just glad somebody had found a new test to do. The next morning I went in for my right heart cath, very early in the morning. They had the results by 10:30 in the morning. The doctor came in, stood over me in the bed, and his exact words were, "Mr. Burger, we found the cause of your difficulty in breathing, and your chest pain." Of course, I was ecstatic, I said, "Finally, we have a cause. If you find the cause you can find the cure, right?" My exact words. His response was, "No." With tears in his eyes he said, "I'm sorry to tell you there is no cure for this disease." I said, "Come on, there's always got to be a cure for it." He said, "No, not only is there no cure for this disease, but, even more so, you probably have about three years, on the outside, to live." Needless to say I was quite shocked. Not the outcome I had expected. Not the outcome I had hoped for. We finished our conversation with him telling me I not only need to get my affairs in order, but, he would like my family that I could get gathered, to come in so he could speak to them and tell them the seriousness, and, explain to them the seriousness of the disease. I laid in bed that day until my family came ... literally crying. I couldn't believe they were telling me I had three years to live. We had our meeting with the family the next morning. My daughter flew in from California. They sat everybody down, explained to my parents, to my daughter, my wife, myself, what was going to happen from that point forward. From that point forward, in the Buffalo area, there was no doctor's available for pulmonary hypertension. Closest doctor was Rochester, New York, about an hour away, but, other than that, my other option was Cleveland Clinic. We had just moved to the Buffalo area, not even a year at that point, we had lived in New York. Not knowing exactly how far Cleveland was, I opted for the hour drive, versus what turned out to be a 3-1/2 hour drive. I went to see Dr. James White. His very first words, and, I'll never forget ... he looked at me and he said, "Forget what you've heard. If they told you three to five years to live?" He said, "I guarantee you ... I guarantee you, I will make you live longer." I just finished my eight-year anniversary two days ago. My pressures went from 115, I believe, 118 ... I'm now at 50. I feel great, although I still wear oxygen, I don't always need it. I went from having to use a mobility scooter, and a wheelchair continuously, to being able to walk upwards of five miles in a day. I have difficult days. It's not that the PH has gone away, because it won't go away, but, with the new medications my life has improved tremendously. After four years of struggling with the fact that I was sick ... Struggling with depression ... Struggling with the idea that I was alone in my community ... that no other people had this. Being told it was a very rare disease. I met a young lady, Colleen Schnell, who ran a support group. She invited me to the group meeting. I'm not a big person, big fan of going to support groups, but, she convinced me to come. I went to the first meeting, and, it was very helpful. After that, for a few years, I continued to meet some people via social network, but, I wasn't meeting anybody my age, I wasn't meeting any men with pulmonary hypertension. We had no network. There was no way to know what men had PH, and who were caregivers, who were just visitors. There needs to be more for men. Within a few weeks I started a social network group on Facebook, called, "The PH Men's PHight Club." The PH PHight Club, the Men's PHight Club, is designed to bring men together that have pulmonary hypertension, and, to help us each deal with our own condition. It's evolved into quite the group. The PHight Club has evolved into not only a friendship of guys, but, a wealth of being able to learn what others are going through, and we each help each other out with our condition. We have members from all over the world. We have members, all ages ... 18 and above. We don't spend a lot of time, necessarily, talking about the negatives, but we spend a lot of time being positive and joking, and having a good time. I learned in the course of all this from a counselor, that, laughter, truly is the best medicine. So, in the PHight Club, we do a lot of joking, a lot of teasing, but, we do have our moments. When a member is down, we rally behind that member. I've learned how to counsel men. I've learned how to be a mentor to men. I've learned how to listen to men, because, that's the big thing, is being able to listen ... not even, necessarily, provide any advice, or, even say anything, but, just be there. I've learned that I have the capability to be compassionate, and to be caring. I always knew I had that, having the family, but not towards strangers. The camaraderie has brought us very close together in the group, and I've learned what it means to be a part of something again. Awareness is everything right now. Being able to get out there and reach the men who are struggling, reach the men who felt the way I felt. Being able to raise that awareness, and let the men know that there is somebody out there. There's a group of us out there, that, we're not like the women, we're not like the children of PH, we're a different animal, without a doubt. By that, we support each other in different ways. 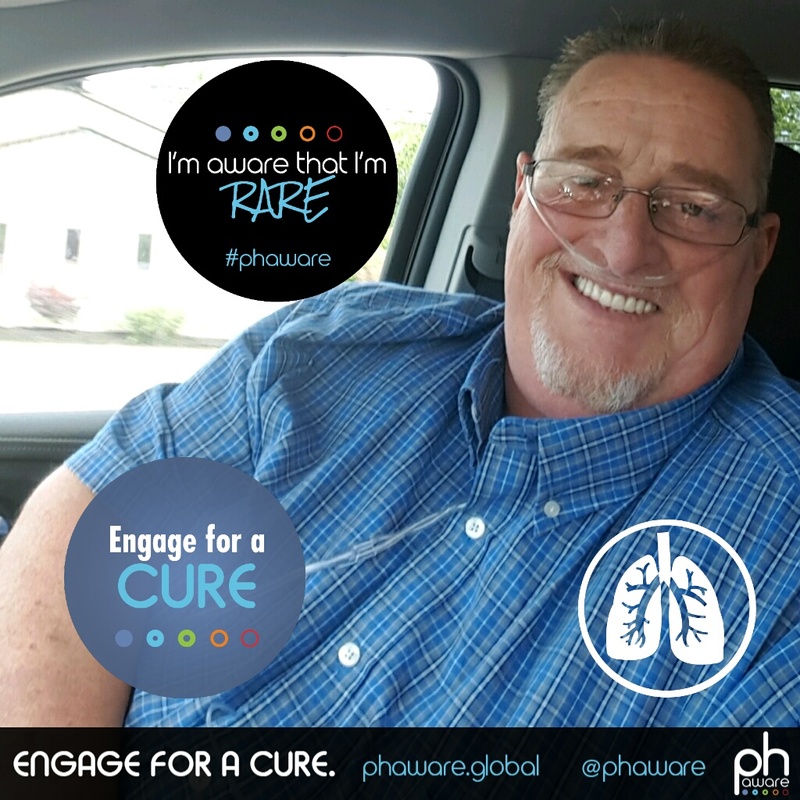 I'm a huge supporter of phaware, I'm a big supporter of the fact that they use social media to reach out, and connect with people. I would like to see more men get involved with phaware. It's very important for me to say, right here, and now, that phaware has a lot to provide this community. We are one community. We might be from different groups, but, we are one community. We need to stick together as that community, no matter what our personal beliefs, whatever, our political beliefs, our religious beliefs ... we need to stick together as a community, because that's the only way we're ever going to beat this thing. My name's Kevin Burger, and I'm aware that I'm rare! Kevin our family has been touched be this disease and we have seen the difficulties encountered both in health , lifestyle and treatment. Thank you for sharing your story and please keep the courage and strength you are showing. © Copyright 2016 phaware global association. All Rights Reserved.